Mr. T and I had a great weekend. We woke on Saturday morning and it was absolutely beautiful outside. We decided to walk down the Swamp Rabbit Trail and eat lunch downtown. We had a great lunch at Groucho's Deli and then went into the Mast General Store to look around. Unbeknownst to us, they were having a huge sale on outerwear. 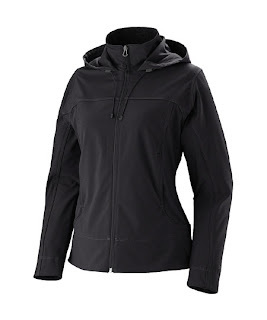 I've had the same rainjacket for about eight years, so I've been in dire need of a new one. I found this jewel on the racks and got it for a steal! After lunch and some shopping, we headed back home. 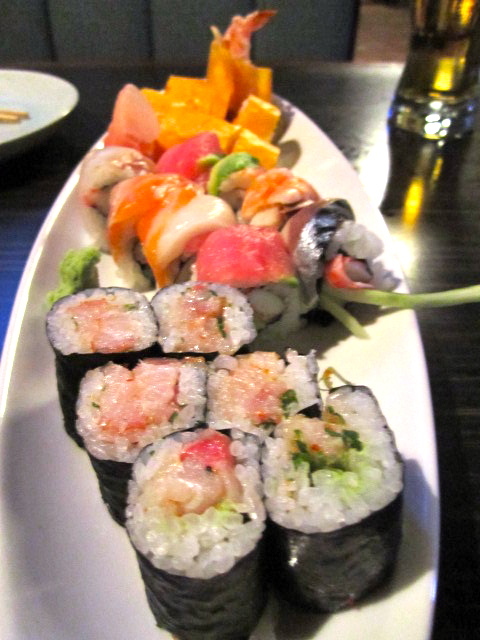 Earlier this week, I bought a Restaurant.com gift certificate for Sushi Koji, a Japanese restaurant downtown. We'd never been there before, but I figured this would be a great way to try something new. And boy were we glad we gave it a shot. It was amazing! 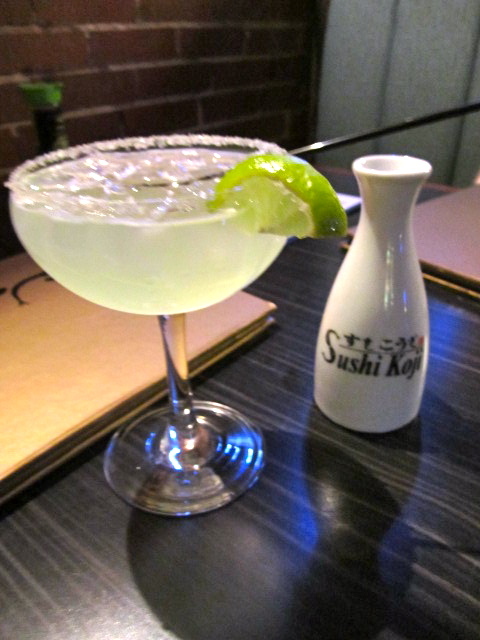 I started with a Japanese Margarita, made with Shochu instead of Tequila. Shochu is a Japanese liquor most commonly made with rice, barley, and sweet potatoes. The drink was very interesting, much more sweet than the margaritas I'm used to. We also ordered some sake, which was amazing. For an appetizer, we selected the Beef Tataki. The beef was great, not too chewey which can sometimes be the case. It was served with a Ponzu dipping sauce which really added to the flavor of the beef. For our entree, we selected three sushi rolls. We ordered the Crazy Roll (shrimp tempura, spicy tuna, avocado and cukes wrapped in soy paper), Rainbow Roll, and the Spicy Yellowtail and Scallion Roll. For dessert, we ordered one of my favorites Mochi Ice Cream. 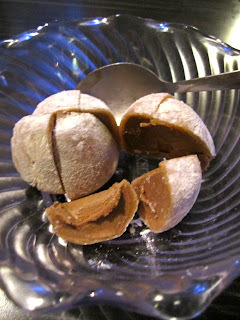 We had the Mocha Mochi Ice Cream which is one flavor I have never seen before. It was absolutely amazing! Mochi Ice Cream is a ball of ice cream with a doughy outer layer. The outside is made from a glutinous rice flour called Mochiko, sugar, and water. The combination makes a gooey sweet dough that is so good in combination with ice cream. Overall Mr. T and I were very impressed with the restaurant, and we will definitely be back! Check out Sushi Koji on Restaurant.com for deals, too! I was able to get a $25 gift card for only $3.00 which helped out tremendously on our bill. Hi! I randomly stumbled onto your blog while checking out restaurants on UrbanSpoon :) Is this the Japanese restaurant on the corner of Main and Washington? I've walked by there a million times and though I've wanted to try it I've never actually made it inside...oops!